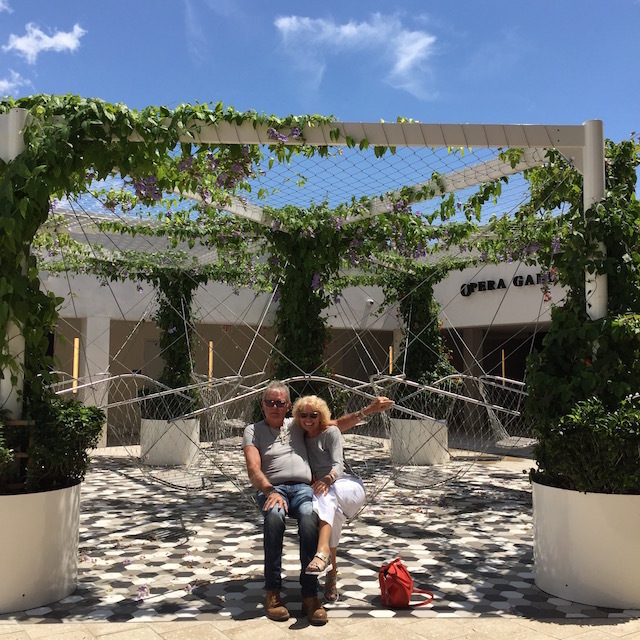 So we just went away for a long weekend – leaving Eleuthera behind us…… it was a trip to Fort Lauderdale and Miami and was primarily to stock up on a lot of tools and such like – lovely trips to Lowes, Home Depot and Harbor Freight Tools – but it was a fun trip ! I don’t know why – it just happens that way sometimes….. The Watermakers Air plane in Rock Sound – no idea who the chap is wandering across the picture !!! We flew from Rock Sound with Watermakers Air into Fort Lauderdale Executive Airport FXE. 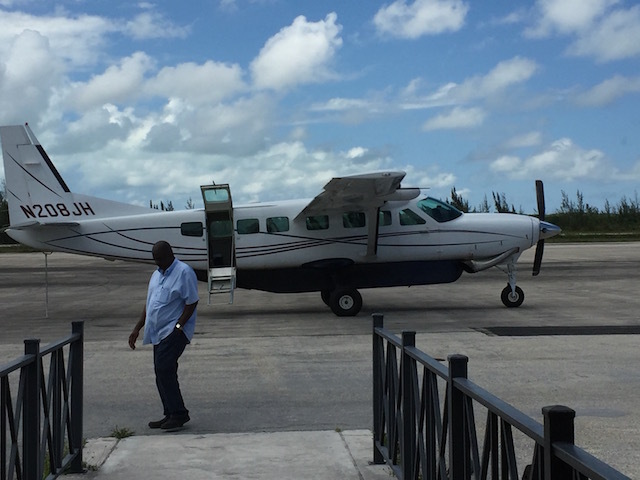 This is a charter company that flies to Staniel Cay and stops in Rock Sound – ideal as an alternative way to fly into Florida. It is not cheap – but the convenience factor is huge ! Our pilot Nick was very skillful in avoiding a storm that was around on Friday afternoon – it took us 2 hours to get there but we never felt a bit of turbulence. And flying back we made it in an hour and a half. Fort Lauderdale Executive Airport is a joy ! – we were in and out of customs and immigration in 10 minutes – fabulous…..
Do check out their website – also very good to know that they are pet friendly as well. 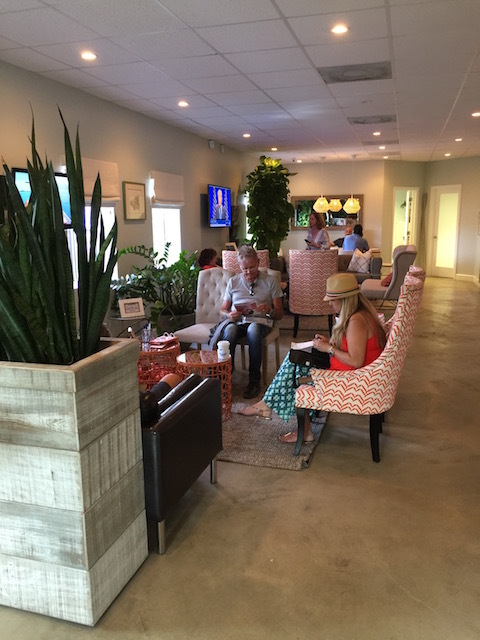 They have a very nice lobby with great facilities as well as complimentary parking for those flying from the US and the staff could not be more helpful or friendly….. we will definitely be using them again. The appetizer I ate at Valentino Cucina – corn puree filled tortellini with lobster and asparagus – simply divine Actually they are not tortellini – but I can’t remember what these shaped ones are called ! 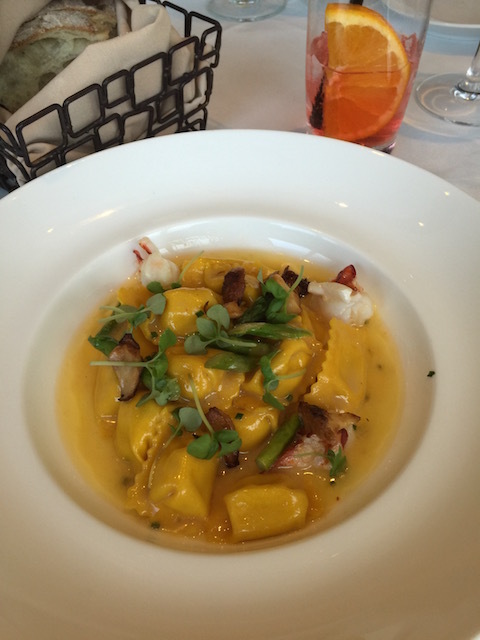 A pre-booked taxi took us in to Ft Lauderdale to pick up a hire car – then guess what – supper at Timpano ! I had to share the secret of the fabulous PEI mussels with Bob – Moules et Frites – the perfect way to start our trip. Saturday was a major trip to Lowes for all sorts of essentials – hello ???? but it was all worth it for a date later on at my favorite restaurant Valentino Cucina – here it is really is about a wonderful gastronomic experience – not just about being fed ….. It is always a delight to eat here and we are looking forward to the opening of an adjoining sister restaurant later this year. 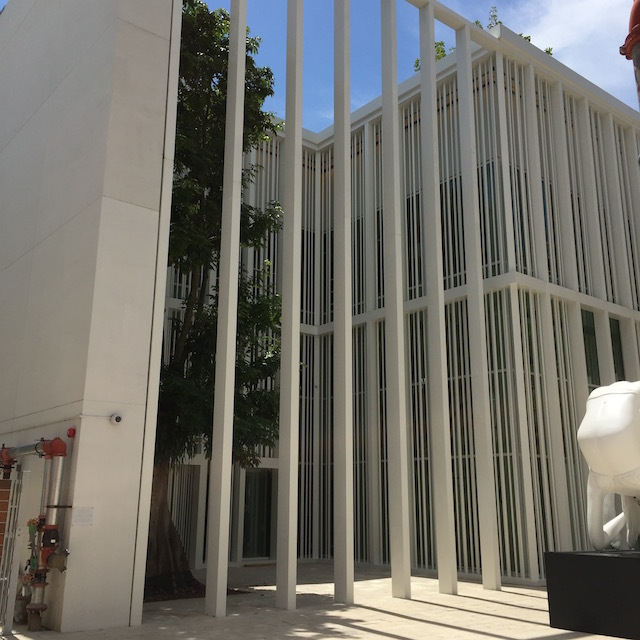 Sunday and a trip to Home Depot followed by a visit again to the Design District in Miami. Sorry but this seems to be quite a lot about eating – surprise surprise ! 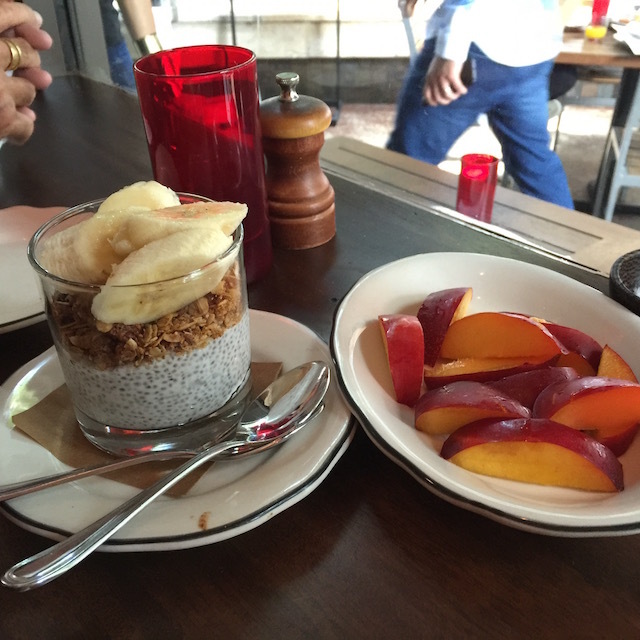 I wanted to try Michael’s Genuine Food and Drink and we ate a great brunch there. It was very busy – seemed the place to be and the food was again more than up to scratch. We had a lovely waitress – Tess – who gave us some good tips – including I may say a divine Kimchi Bloody Mary. I decided that I would definitely plan on drinking a Bloody Mary when we go to Manhattan next week – but suddenly there was a great one in front of me – thanks Tess for the recommendation…. The restaurant does small plates to share and we tried 4 dishes which were all brilliant. Definitely no desert I had said to Bob as we walked in as we had eaten a very large meal the night before – but the charming English manager Kimberley sent over a free desert and it would have been rude to refuse !!!! 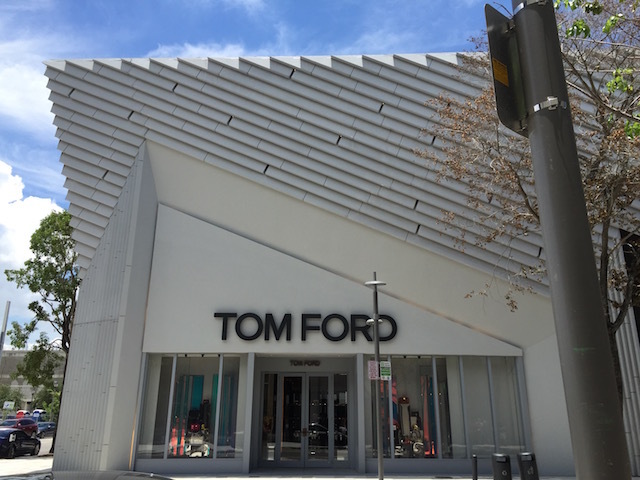 Stunning design at the Hermes store in the Design District – good job it was closed on Sunday …..
Monday was Harbor Freight Tools followed by 84 Lumber and Ideal Automotive and Truck Accessories – don’t ask ! – but then the highlight of the Colonnade Designer Outlet at Sawgrass Mills – we both went home happy. Back home on Tuesday thanks to Watermakers Air again – there’s no place like home ! 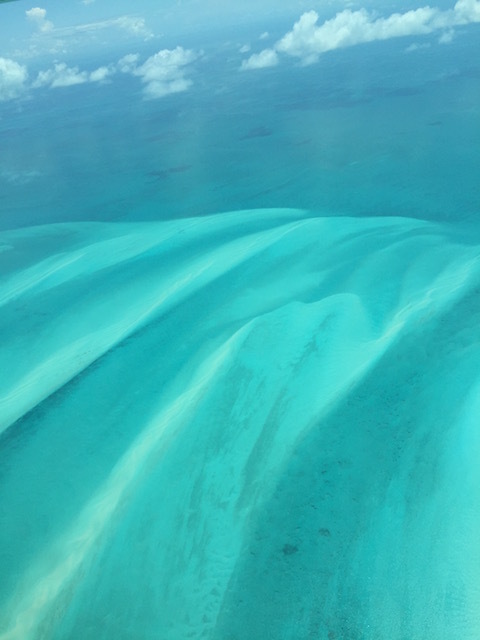 The waters of the Bahamas still charm when viewed from the plane….. Sadly of course when we got back to the hotel on Sunday afternoon we read about the horrific shooting in Orlando – what a total nightmare and so very scary to be in a country where these mass shootings happen all too frequently. I have to say that I am horrified that automatic assault weapons like this are on sale to anyone who wants to buy them. I sort of understand about hand guns and hunting rifles – even though I don’t like them – but automatic assault weapons have only one purpose in my mind – killing lots of people very quickly. Another tragic situation……..
Look forward to seeing you two. 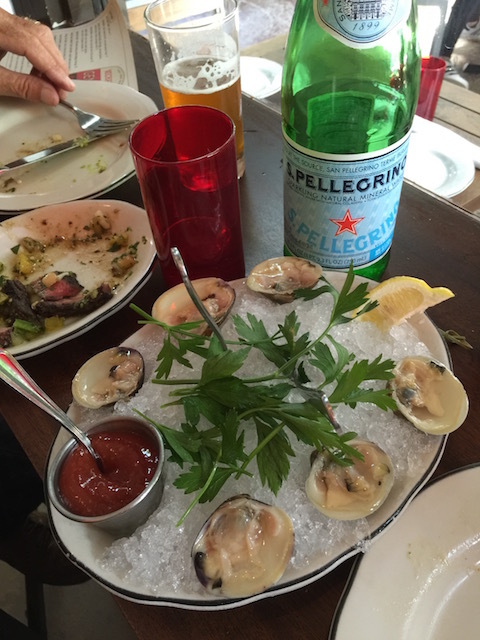 Wow – thanks for that – we need a Cape Cod lesson in clams – as does the restaurant !! – anyway – they were delicious …. Lovely to hear from you. 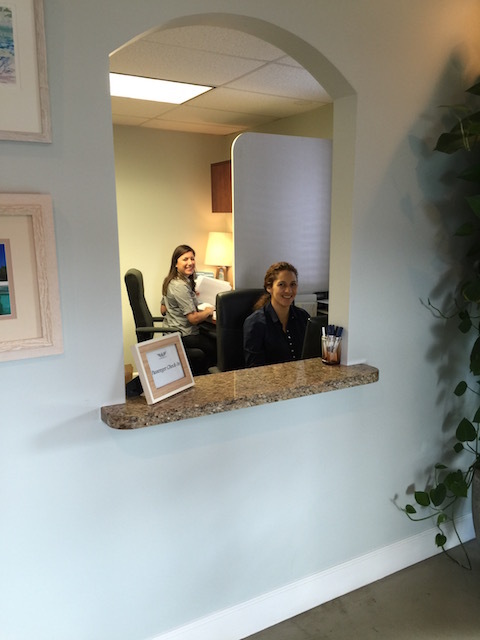 Say Hi to Mary for us ….. Absolutely agree on the semi automatic/assault weapons. Looks like the Senate may finally vote on some minor changes to the law, but the House will undoubtedly vote NO. Heart goes out to the victims and their families in Orlando. Thanks for your comments. I could not let something like this pass without commenting on it. Blogs sometimes seem to exist in a bubble of constructed reality – but this is just too important not to acknowledge…… Thanks to you as well…..